Today (10/24/12) only, American Express is doing one of its once-every-few-months, one-day-only 75k Membership Rewards sign up bonuses for the American Express Gold Business card. The last one was September 12. I won’t give a full rundown of the rules and benefits of the card–you can get that anywhere–but I will answer the following question: should you get the 75k sign up bonus on this card or the 50k sign up bonus? There are two AMEX Gold Business Card Offers out there right now, the today-only offer for 75,000 Membership Rewards after $10,000 in spending. And the running offer for 50,000 Membership Rewards after $5,000 in spending. If the answer to which card to get seems obvious, it is not. In my post, “The Two Ways to Value Credit Card Sign Up Bonuses,” I described both the absolute-value method and rebate-percentage method. The absolute-value method is what most people are probably more familiar with. Add up the benefits of the sign up bonus and subtract the first-year annual fee if any. Right now I value 75k MR at $1,342.50 (75k * 1.79 cents per MR). There is no annual fee the first year on the AMEX Gold business card. 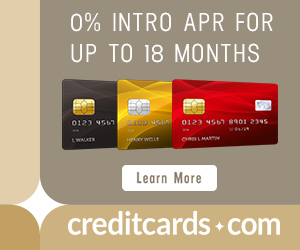 Excluding the category-bonus premium of the AMEX Golds, the absolute value of the 75k MR card, $1,342.50, dwarfs the absolute value of the 50k MR sign up card, $895. Stop reading here and get the AMEX Gold business card today if you spend tons of money per year on credit cards ($100k+) or you are only getting 1-2 cards this year because of an upcoming mortgage application. The absolute value of the sign up is mouthwatering. But if you, like me, spend very little on cards each year ($30k), then this is not the best AMEX Gold business offer. Instead the best offer is the 50k MR sign up bonus. The reason is that the 75k MR sign up bonus has a $10k minimum spend to unlock the bonus. The 50k MR card has only a $5k minimum spend requirement. People who don’t spend enough to clear all the minimum-spending requirements for all the cards they want should use the rebate-percentage method to order cards on their wish list. The rebate-percentage method takes the absolute value and divides by the spending requirement to get the percentage of the minimum spend that is rebated in the form of points or other benefits. The 50k MR card’s rebate percentage is a solid 17.9%. The 75k MR card’s rebate percentage is only 13.4%. That means, if you are looking at the most bang for your small buck like me, you should get the 50k MR card. Several weeks ago, I did get the 50k Membership Rewards offer, and I am very happy I did. It was the right move for my spending habits, and it will allow me to get more total benefits from my cards this year than if I had gotten the 75k AMEX Gold. Take a look at my Best Current Credit Card Offers, which I update frequently to see where these offers place! I can’t say exactly where the annual-card-spending cutoff–and you can increase your annual card spending with Bluebird–is where you can move from the rebate-percentage method to the absolute-value method. But I do know that the 50k MR sign up bonus is right for me. It’s far too easy to manufacture spend to give your methodology much credence. I realize that there will be a very small minority to whom this appeals, however, your blog is sufficiently advanced in nature that I don’t think that is a very big part of your audience. For any dedicated FT’er, the limiting factor is credit pulls, not spending. Thus, the primary metric has to be value per credit pull, not value rebate percentage of min spend. @HansG is dead on the money. Credit pulls are the limiting factor, not spend. If you cant generate $100K free (or nearly free) spend a year, you aren’t trying very hard. And since cc churning is about the easiest way for most to earn points/miles, you should always get these high value offers when you can. This is a valid position, but I think what you’re describing is actually beyond most people’s interest level or competency. Better to get the cards they can meet with real spend. I dont see a down side to the 75k offer. Why sign up for something for 25k less in miles. If you are going thru with the effort might as well snag the extra 25k miles. I disagree – there’s always PayPal, Square, etc that can be used for a small fee (generally around 3%) when you need extra spend to meet the minimum. Excellent point! Even if you’re a noob who doesn’t want the hassle of finding free artificial spend, you can get the extra 25k for $150 in CC fees, which is buying miles at 6/10 CPM, which is a profit even if you cash out at 1 CPM pay with points, which is worst redemption possible. Agree with all above and your Logic is flawed. You have to go for the max! Otherwise, if they offered, 10,000 miles for $5 spend, using your metrics, you would reccomend people to just go for 10k MR offer. Offers change all the time, but so far, there hasn’t been an offer that never returned. Sometimes they do get tougher to achieve like Cap 1. I say, if you can’t hit the spend, circle around next year. Folks, the answer is simple, unless you’ve exhausted all other good offers or have almost unlimited spending, neither of these is worth it. 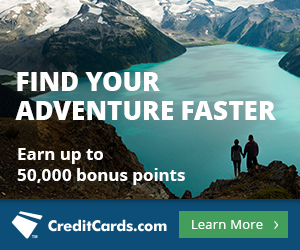 For $5k in spend, I could get 25k UR points, or 50k UR points with an Ink Plus promo, or 2x Southwest cards. For $10k in spend, I can do much more. MR points just aren’t worth it anymore. Disagree. It’s much more dangerous to max out Ink spend at Office Supply with 80%+ OS spend than it is to get these MR on this deal. Plus, diversity adds tons of value. Plus, your math is wrong, unless you’re suggesting 25k UR > 50k MR.
Plus, the idea that it’s either Biz PRG or Ink is a false dichotomy. Get both. I’m nowhere close to maxing out IB spending, but $2-3k/month adds up fast. I’m not a high spender ($1-2k/month) for normal purchases so I have to make it count. My math isn’t wrong, we’re discussing the 75k MR offer, which Scott said isn’t a good deal compared to the 50k/$5k offer and that’s what I agree with. The extra $5k is better spent elsewhere. And I would always value 24k UR points higher than MR.
I’m fine getting the Biz PRG card once or twice, but long term it’s not useful to me. AMEX has lost all the best transfer options so BA is the only one remaining where I can consolidate a serious amount of points. You said: “For $10k in spend, I can do much more. MR points just aren’t worth it anymore.” Which implies that it’s not even worth doing the 50k MR offer, which means that you value 25k UR more than 50k MR. You’re perfectly entitled to that opinion, but you won’t find many people (anyone?) to agree with you. First of all, fake spending has nothing to do with which card I’m putting it on. It’s me buying something I don’t need, and then converting it to cash. Most commonly, that’s some form of gift cards, prepaid card reloads. Alternatively I can paying taxes/mortgage but I only have so much of that to pay per year. Please enlighten me what difference it makes which card I use to buy those items that generate this fake spending? Any such extra spending I do with AMEX can be done with any other card and have the same point earning. Except with Ink at least I have potential. Either way, if I had $5k of extra spending to put somewhere, I’d go for the reduced Ink Plus 50k/$5k offer in a heartbeat. MR points are becoming pretty worthless. Don’t get angry if you’re stuck with a bunch of them..this isn’t an Apple vs. PC “debate”. It’s just how the market is. Sorry, wrong answer. I earn about 300k UR a month and almost zero MR. I’m a UA 1K, so the UR are insanely valuable to me. So no, no emotional attachment to MR, not by a long shot. But no sane person will say 25k UR is worth more than 50k MR. Just not gonna happen. I just transferred a few 100k MR at 1:1.5 to BA and have been taking trips PIT-ORD and PIT-NYC for 3k MR e/w. MR has its very valuable place. Much less valuable than UR, of course, but having points in every single program is a HUGE force multiplier. Yes it does. To get your precious 5x, you need to spend at Office Supply, which means a totally diff kind of fake spend than you would do on an Amex! Fake spend is easy (and encompasses far more than you’ve mentioned), but it appears you haven’t learned very well how to make it easy. Figure it out. You’ll be glad you did. I’m not sure you understand the math. Here are your options (not mutually exclusive options). 1. Get Biz PRG and put $5k on it, get 55k MR.
2. Get Biz PRG and put $10k on it, get 85k MR.
3. Spend $5k on Ink Bold at OD, get 25k UR. So let’s agree that you have limited spend and don’t know how to do easy fake spend. You can get 55k MR or 25k UR for the same spend. See above remarks about UR vs. MR value. I’ve said it before, but just to sum it up, your problem is that you view this as an either/or fallacy. Do both. Oh, and you’re forgetting that you could just do PayPal or Square at <3% and buy the MR at 0.35 CPM, which is a steal! That's $10.59 + $2.50 tax = $13.09 each way for PIT-ORD or NYC-YYZ. No last minute redemption fees. This, to me, is the indisputable and fatal blow to your idea to go with UR. If you used your Ink with PayPal/Square, you'd get 10k UR vs. 85k MR.
@HansGolden You presented the final seminar in Chicago, right? I have a couple random questions – if you don’t mind, can you shoot me an e-mail? 75k miles is still a nice haul. Is it the best offer out there? No, but chasing 75k MR is certainly a worthy hit. This post doesn’t apply for everyone – MV said himself that you should stop reading if you spend a lot on cards (aka, can find ways to meet spending requirements easily). I think comparing them in this manner is beneficial for those souls with limited income/spending ability. Similar to what frequent churner said, the extra $5K spend for an extra 25k MR points doesn’t make sense when that $5K spend can lead to a lot more value with other cards. In that regard, if you have limited spend, it makes a lot more sense to get the 50K offer than the 75K offer today. Again, this post is not focused on for everyone who plays this game, just those who don’t have/create a lot of spend. But surely ALL of us can find a way to easily manufacture spend these days. 10K spend is not THAT much more than 5K spend, not with all of the trick methods out there to knock that out. The math and the formulas sure make the argument look scientific but I wonder if that’s just a little red herring to distract from the fact that the 75K card pays no commission (while the 50K does). Hope not. Yes, I can manufacture $5k in spending, but even then, there’s better uses for it. It doesn’t matter if it’s manufactured or not, it’s spending that you could apply for meeting minimum requirements of better offers or UR points. What you don’t seem to realize is how much safer and easier it is to manufacture spend using Amex PRG to meet min spend than using an Ink at OD. There’re orders of magnitude different in difficulty and risk. With 30 minutes of work at home from the comfort of your computer, you can set up a system that will take care of that $10k in spend with only about 5-10 minutes a month additional time for the next three months. (The same procedure would not work for Ink 5x.) If you’re not willing to do that to get 75k MR, you don’t deserve them. @frequentchurner – Even if you don’t want to do any work in regard to getting creative with your spend, you can effectively buy your spend at 3%. In other words, you can buy the extra 25K MR on the $10K offer for $150 – this is great value! For what it’s worth, you could theoretically use this method for the entire spend – and net 85K (75K bonus + 10K on spend) MR for $300 out of pocket. …or I could apply the same lazy $5k extra spend on the 50k/$5k Ink plus offer, or countless other offers like Southwest. All you MR apologists fail to see the error of your logic here. Spending is card neutral. If I have $5k of spending to put somewhere, anywhere, in any shape or form, there are more points to be had with other offers. I can have 100k Southwest points with $4k in spending. To heck with AMEX, they have the highest merchant fees, and high spending requirements for offers. Heck! I can even get $25k Starwood points for $5k, worth 2.5 cents a point to me. What can I do with MR points anyway? Transfer to the now highly devalued Aeroplan, or maybe BA. @frequent churner: If spend is the factor for you rather than credit pulls and fresh CCs to get, then you don’t live up to your name. Ok I see, if credit pulls are the issue it’s a different story… my nom de plum isn’t supposed to be taken literally, though I have done 5 card churns the last few times. Now I mostly churn through pre-paid cards of various sorts 🙂 reload-it and vanilla, spread across 3 prepaid programs. I agree with most that the 75K offer > 50K offer. I wonder since the 50K is a referral link if that factored into the decision to write this article. There is no need to question my motives. I list which cards are affiliate links on my card page. Neither of these is one. Plus a lot of this article was copy/pasted from the last 75k day last month, when I didn’t even have affiliate links. Just be aware that Amex doesn’t always honor the 75,000. I signed up and was accepted on the date offering 75,000 rewards but they wouldn’t honor 75k and are just honoring the normal 50k. Read the app very carefully and take screenshots. Just another data point…After about a month I got a 25k bump offer to get the plat on my sign in screen. It cost $225, but for the $200 United gift card and the points it was a total no brainer. I’m a big spend/less cards kinda girl so I got the 75k but understand your rationale.